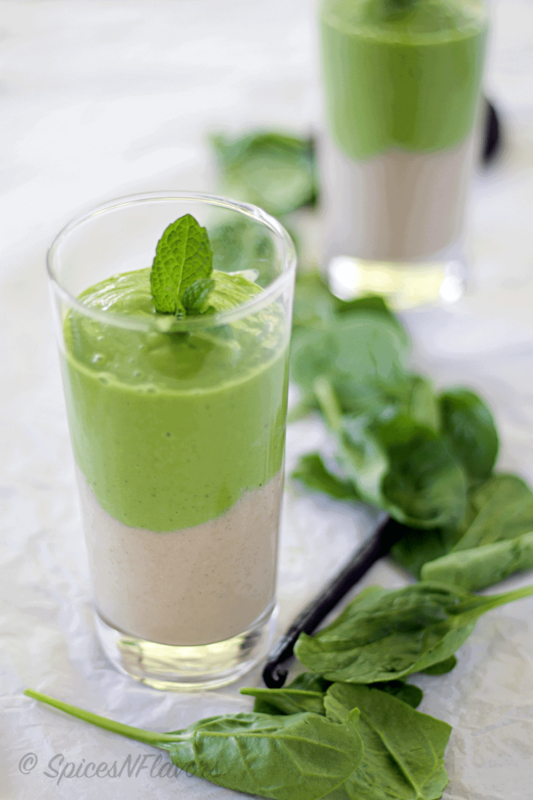 Green Smoothie is a vegan, gluten-free smoothie – a perfect breakfast to keep you full for a very long time. 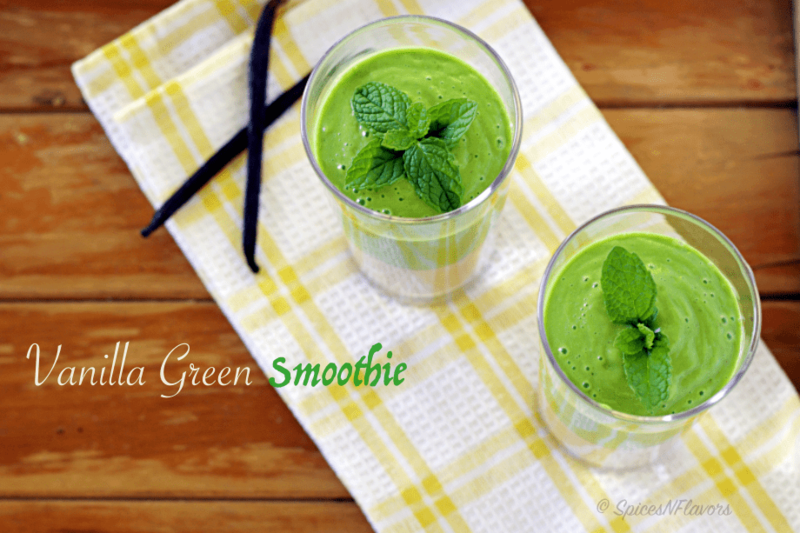 Green smoothies are a perfect way to include veggies in your daily diet. 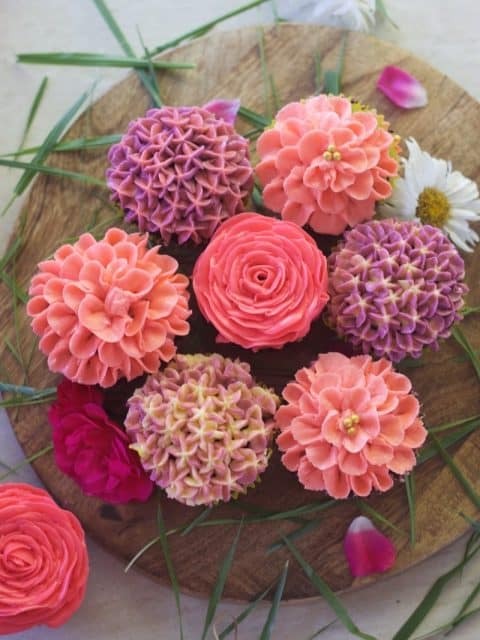 These are delicious healthy dose of drink that no one would ever want to miss. And the bonus part is you do not even taste the spinach in it. Why should you include Greens in your diet? They help to fight diabetes, preserve your vision health and much more. One should definitely include greens in their diet. 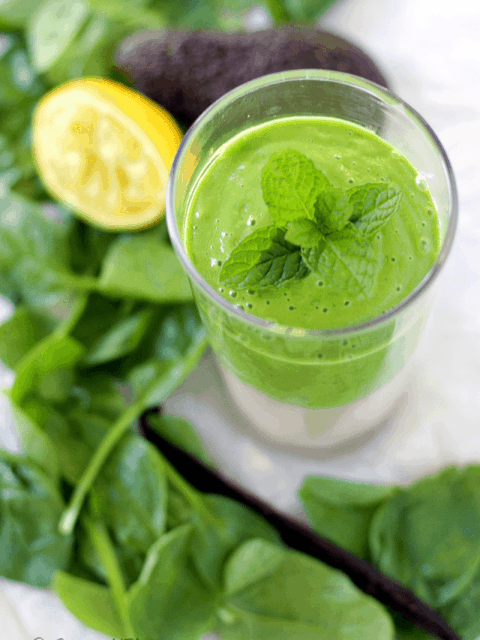 If you do not like to eat it raw as in salads then just sneak it in using this smoothie recipe or try out this palak phulka – yeastfree Indian flatbread using spinach. You will love it!! I am so glad that I took up this #7daysmoothiechallenge. One I am having a good amount of fruits and vegetables required for the day. Two it is giving me an opportunity towards inculcating the habit of healthy eating. Plus the smoothies keep you so full that you do not crave for any snacks in between. Wish to join me in this challenge. Just use the hashtag #7daysmoothiechallenge and tag me @spicesandflavors so that I can follow you and all your posts. 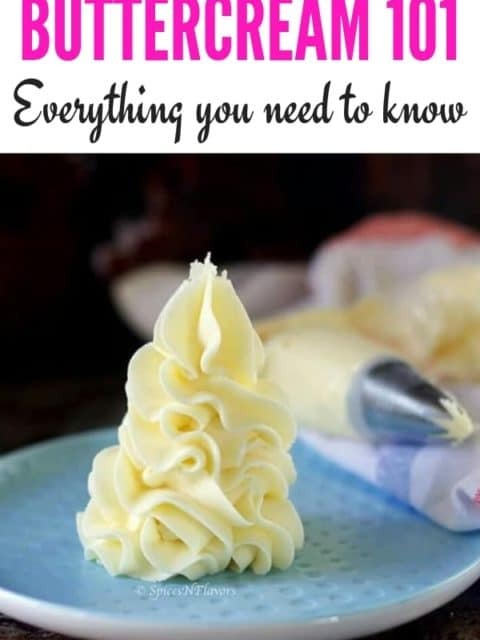 Why should you try this recipe?? This recipe is one of the best way to include greens in your diet, as you use raw green leafy veggies you get the maximum amount of nutrition from it. This tastes so delicious that you feel you are actually having a milkshake. It has no sugar added to it whatsoever. When you have a glass of healthy drink which is tasty too will you want to miss it? So what goes into making this healthy glass? 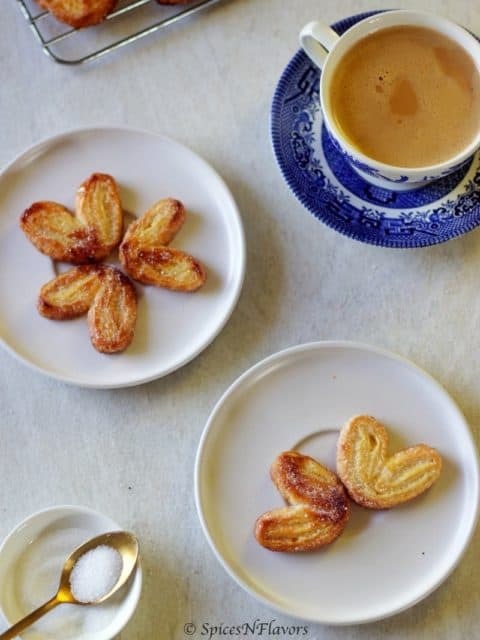 We just need basic ingredients to make this. To give it a little bit of tweak I just blended it in two different layers so that it is visually appealing as well. Some banana oats vanilla bean and almond milk blended together to make the white layer and rest of the ingredients like spinach, avocado, pistachios, dates and my secret ingredient aloe vera (which makes it even more healthier) goes into making the green layer. Lemon juice pairs so well with avocado and hence decided to add it at the end so you won’t find it in the above pic. However it is an optional ingredient so you take the call.. So do I love this smoothie?? Ofcourse I do!! And my entire family kept me asking for some more. You should definitely try this. And if you give it a try then do tag me, tweet me or instagram me. I will love to follow you and all your posts. By the way check out my Pinterest Smoothie board – many more tips, healthy benefits, new varieties all included in one place. And now to the recipe..
Rinse out your blender. And then add all the ingredients mentioned under the green layer and blend until smooth. Pour it on top of the white layer in the two glasses. 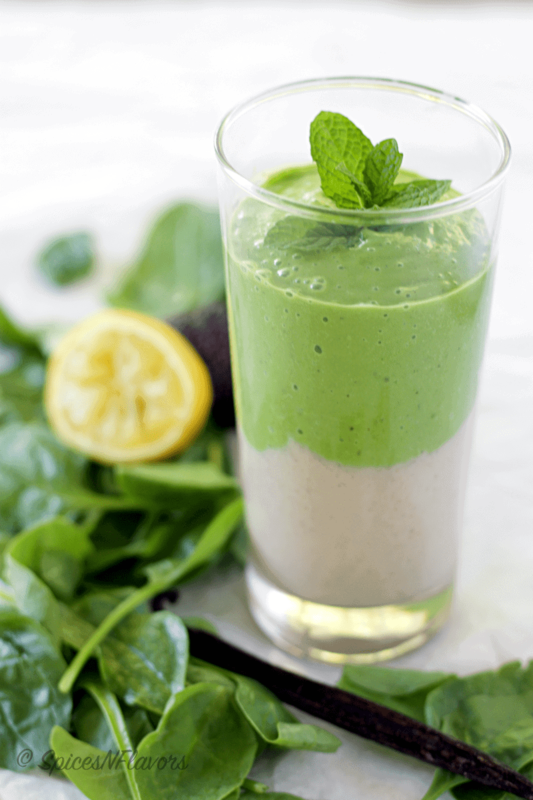 Garnish with some mint leaves and thats it your healthy smoothie for breakfast or midmorning snack is ready. 1. You may just add everything to the blender at one go and blend together to save time. 2. Use water to thin out the smoothie if you find it too thick. Some more interesting smoothie recipes coming up soon. Keep watching this space. Thanks sachinmani. I am glad that you liked it.. This looks really tasty and spinach actually works much better than I thought it would in a smoothie. 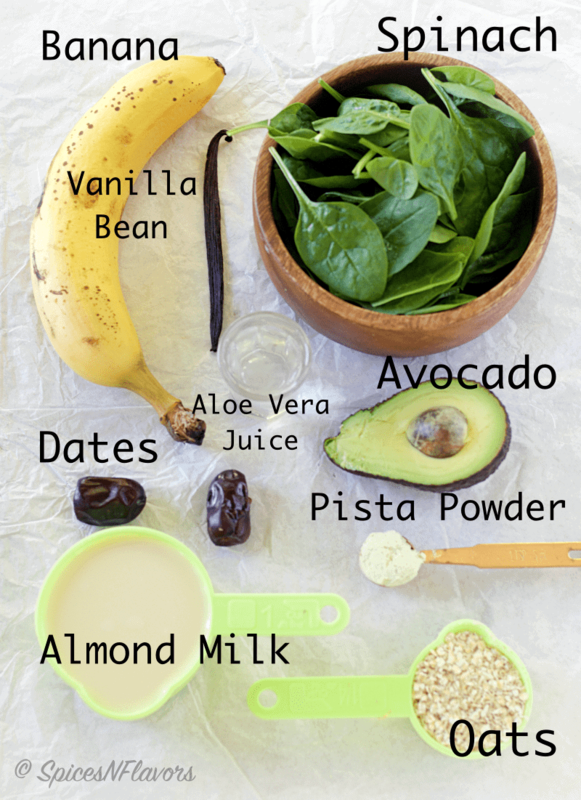 Trust me you won’t even taste the spinach it.. All you will feel is the creaminess of avocado and vanilla.. 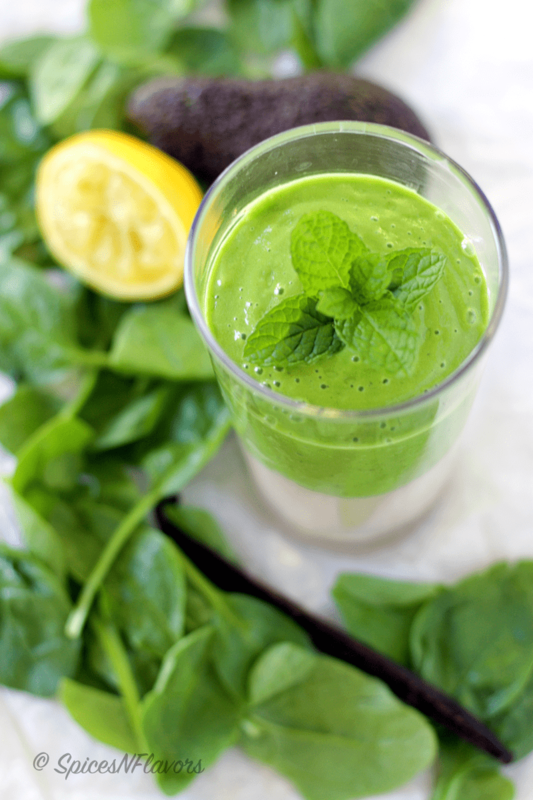 I do like a bright green smoothie like this – such a healthy way to start the day. Every so often I think I’ll try a daily smoothie challenge but rarely last longer than 3 days even though I love them! hey sue.. Pistachio powder is nothing but whole pistachio nuts ground coarsely.. I had grounded pistachios to make Indian ladoos (balls) so thought of using it here.. Helps with anti aging? That’s me sold I spotted 2 grey hairs this morning waa. I love the sound of this.